Seems like it's not a holiday with out cake pops these days. 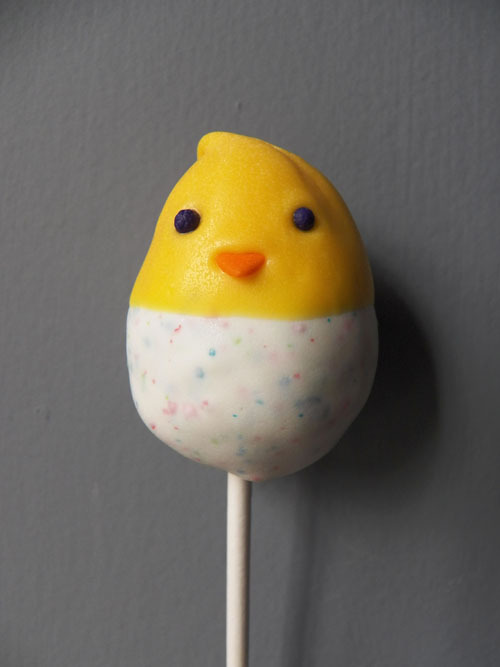 For Easter I made chick peep cake pops. Chick peeps coming out of their eggs. I made a whole flock for my peeps! So adorable! I want to learn to make cake pops. Absolutely love your "Peeps" they are adorable for Easter. Would love to see your recipe and decorating method for these. Better yet, you ought to make them and sell them as bazaars, etc. you'd become one rich lady. I love them and would love to know how you made them. 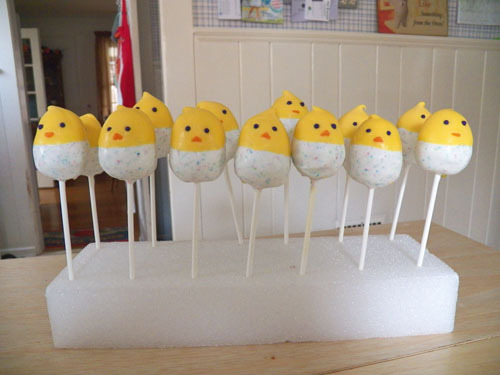 Arlene & Christine - I bought Bakerella's book "Cake Pops" and follow her instructions to a T. This design is a twist on her chick peep design - I just added the extra bit of the peeps coming out of their eggs for Easter. Lady M - that IS the cutest yogurt ever!